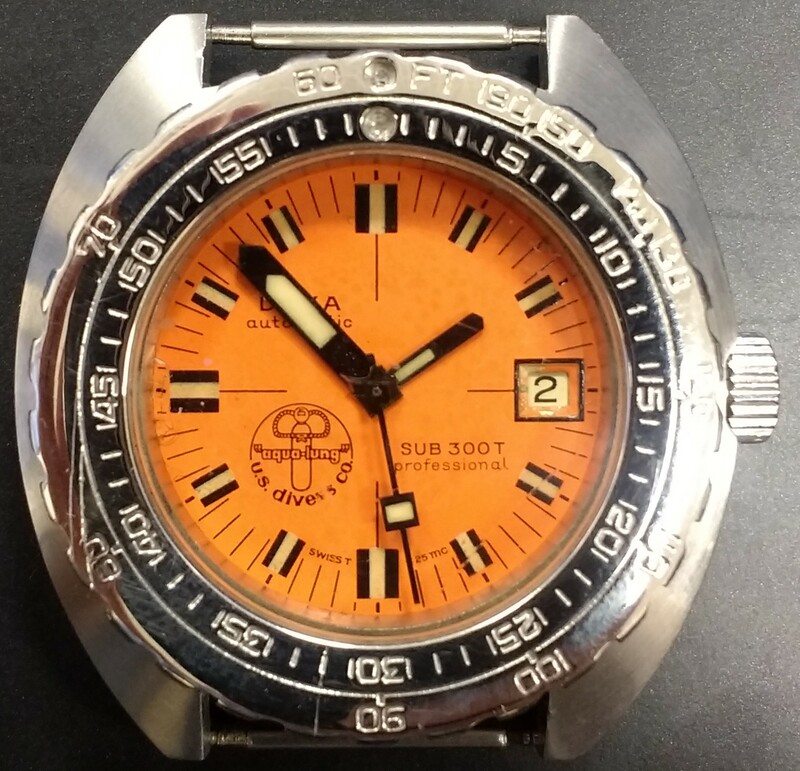 For sale it’s a wonderful and iconic Doxa sub 300T Aqualung Professional vintage diver. There is plenty of information on these fantastic watches. Attesting their robustness and functionality, this model (300T) was used on the Calipso by the Custeau crew and also by the Marine Nationale. The classic orange dial its most recognized and in my view, truly fantastic. This is a rare opportunity to own one of the classics in my humble opinion one of the best units I have seen on sale lately. Pricing this fantastic watch very sharp I think at 2.000 euros. Bankwire payment preferred, though would consider Paypal if 4% is added. Return possible in 3 days, if watch not as described at buyer expense within the EU. Elsewhere sale its final. This watch its part of my collection and do have plenty of sound references worldwide. Watch and myself located in Spain. Buy with confidence. Here a picture of the watch. If you would need any further pictures or should have queries, please just ask, will be more than happy to help. Serious buyers please. Thanks in advance for looking and Chronotrader for the space.